Very clean and sun drenched house music by well established act Palms Trax. 'To Paradise', the title track, is all about melodic journeys and balearic tonalities riding on top of a very italo bassline. What is not to like now that the sun is shining again on rainy city. And this leads to 'Love in Space' with it offers plenty of climaxes riding across sensual and soft as puffly clouds melodies. Palms Trax vibes all along as you are well used to. Perfect summer time record which is going to be on rotation at the shop surely. Sil says: Positive, calm and warm house tracks that are perfect to warm up your summer bbq but can also used on the discerning bar dancefloor. 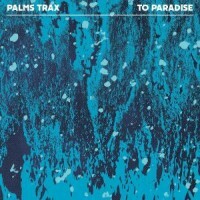 If you are familiar with Palms Trax you know what you are getting. No surprises here and that is a great thing!